Massage kiosk in mall is becoming a hot mall kiosk business idea. Because nowadays people siting all day long ,Almost everyone more or less will have small heath issues in shoulders and back. 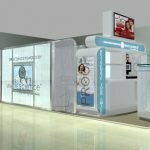 A unique massage kiosk in mall will give great help on those customers. When they have a rest and can get back relaxed and recover with professional expert skills. 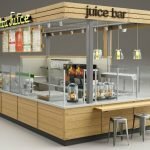 Here blow a is a nice massage kiosk design used in mall or airport. This is a comparative bigger size kiosk in mall. 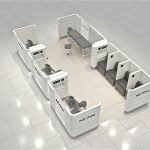 According to the kiosk design , you can fit 4 stations for customer and on the other side ,we have a long waiting bench where customer can wait and sit there. 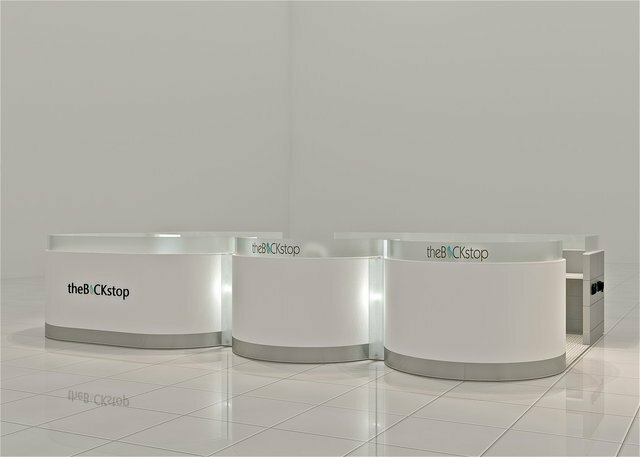 The round arc is a largest star of this massage kiosk design. Looking from outside the unique shape can easy attract people eye contact. 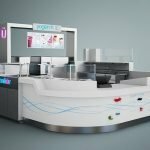 Similar to massage kiosk business ideas in mall ,This unique design can also used for teeth whitening business. 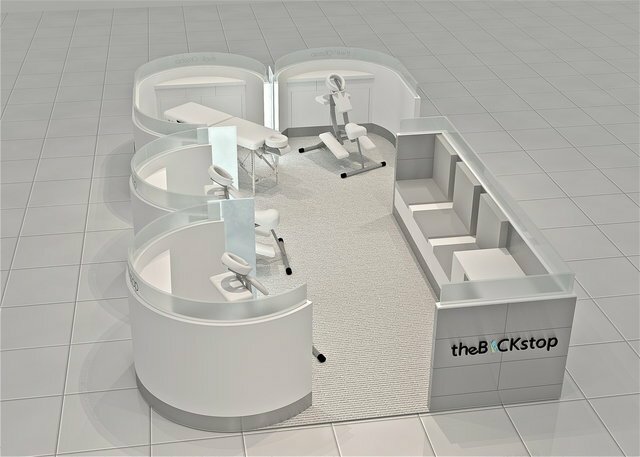 Actually teeth whitening kiosk business is very similar like massage kiosk business. they all have semi private section to serve service.and need a place to install a small equipment . you can add a egg chair in teeth whitening kiosk , and you need a massage chair in massage salon. Above design is the view form back part of the kiosk . you can also add poster or your service name or some other brand adverting pictures on those smooth curves arc. 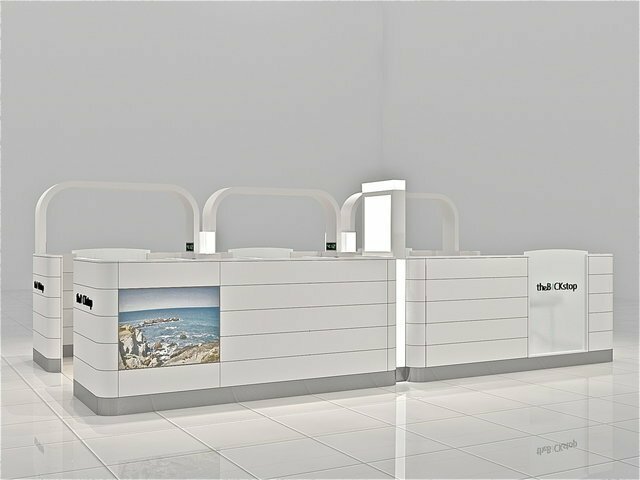 Since we do customized kiosk , you can just share us you ideas in mind . we can make the 3D drawing according to it.